The District of Sooke also recently decided to end its wastewater contract with EPCOR, estimating that it could save approximately $225,000 annually by operating and maintaining the system itself. All employees agreed to the transition and have stayed on, becoming CUPE members once the District officially took over operations on October 1. One additional manager was also hired to work at the facility. The transition to public has also allowed the plant in Sooke to become a training centre where junior operators will be able to upgrade their skills. “The move to publicly deliver wastewater services is a big win for the community,” says CUPE 374 President Shireen Clark. 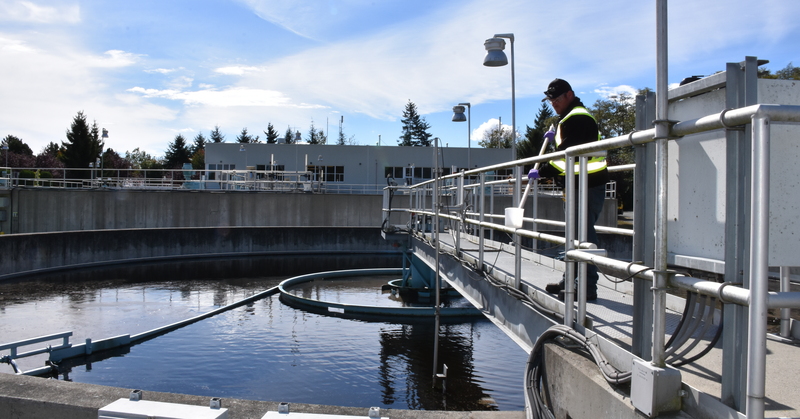 EPCOR has operated and maintained Sooke’s wastewater services since 2006. In 2011, when the company’s five-year contract was expiring, Sooke Council considered pursuing a 21-year contract extension. However, residents rejected that option and instead Council went with another five-year extension. CUPE members played a key role in ensuring the short-term extension through a campaign that focused on educating the public on the dangers of P3s.